Bypass the hassle of having to do your own rubbish disposal through using one of our versatile and inexpensive junk removal services in Bayswater. Customers throughout the W2 postal area can turn to us for efficient, affordable and reliable waste removal and disposal solutions which always deliver the required results. We understand that cost is one of the essential factors when it comes to choosing specialised waste removal services, this is why we provide fair, individually prepared quotes, either onsite or over phone and email. Customers only pay for what we actually collect. Our prices do not include any hidden fees or unmentioned charges. Responsible means of disposal is an integral part of our junk removals in Bayswater. We consider ourselves an ecofriendly waste removal company, this is why we divert as much rubbish as possible from ending up in landfills through recycling and reuse. We hold valid permits for using all London waste processing depots. We also consider ourselves an experienced and well prepared service provider, based on this we are able to deal effectively with most types of household waste including but not limited to: general domestic waste, garden rubbish and green refuse, garage junk, basement rubbish, after builders junk and leftover construction supplies etc. We can also remove and dispose of single items like old furniture, bulky appliances and many others. When we dispose of redundant electronics and IT equipment – we do so in accordance to the WEEE Directive. We can also organise for complete property clearances at excellent prices. For best results, no risk of damage and short service times, we work with specially trained clearance technicians. Waste will be transported off your property in low emission rubbish removal vehicles of the appropriate size and load capacity. Our rubbish removals in Bayswater are an excellent alternative to skip hire – there are no licenses or permits to obtain as we are fully licensed and qualified waste removal company. However we can arrange for a skip to be delivered and then collected back from your address at very reasonable prices. Residential customers will have access to punctual and helpful support and assistance, available twenty four seven. Also flexible booking hours and high availability, including overnight and last minute removal/clearance requests. 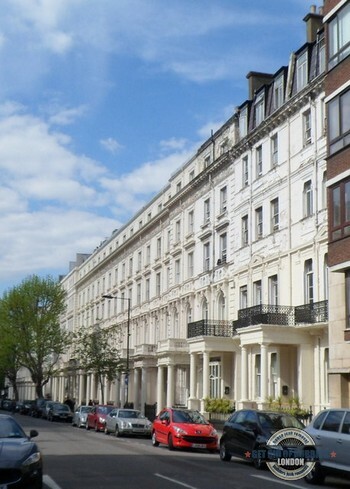 Bayswater is an enclave of hotels and high class residential properties. The suburb began its existence under the name Bayard’s Watering Place, sometime in the second half of the twelfth century. In the sixteen hundreds, the district’s name was recorded officially for the first time, at the time there were more and more houses appearing around the local Westbourne river, which provided the watering place. Except for a couple of inns, a hospital and some tea gardens, Bayswater remained largely undeveloped and unpopulated all the way up to the eighteenth century, when speculative builders began working the local land resource. The man in charge of development was a Bond St printmaker by the name of Edward Orme. The initial choice of dwelling in the area was single and paired villas with proper gardens.